This is the experience of the unconscious side of Leo, the habitual, more needy and childlike aspects of behaviour. 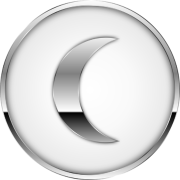 Fiery moon positions all tend to be quite self-oriented and with no great inclination to moderate self-expression to take others’ needs into account, so they are less considerate, more impulsive and straightforward in their emotional expression. 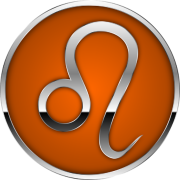 Moon in Leo tends to be carefree, sunny, cheerful, optimistic, generous and high spirited, having a direct, clear manner of expression. Hunger for life shows in a love of luxury and a constant dynamism that carries others along in a slipstream of warmth, excitement and pleasure. Yet they can also be overbearing, jealous and demanding, given to self-overestimation, unable to bear criticism and defeat, needing to be first, special, centre of attention, and always looking for recognition, admiration, praise and encouragement – otherwise there can be exaggerated reactions, prideful showmanship, and impulsive, grand dramatic gestures to put them back in the limelight.